Detail from “adolescens” entry in Omne Bonum (Royal MS 6 E VI, folio 58v) c. 1380. Used with permission of the British Library. 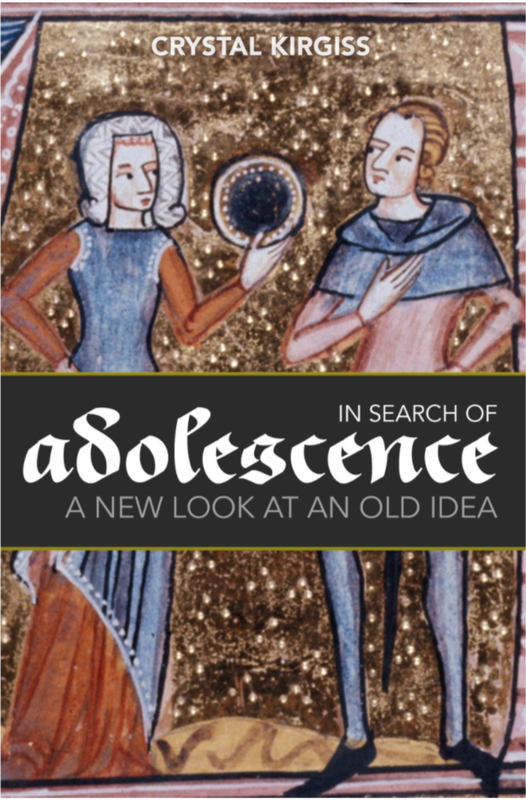 Taking a broad look at how Thinkers, Creators, and Preachers have described and depicted adolescence over the centuries, this book challenges the standard assumptions we have about the history of this life stage. You can pre-order your copy here. “Rarely do you find someone who is willing to go against the popular narrative the way Crystal Kirgiss does in this fantastic book. In it she challenges long held assumptions and helps carve out a new path for thinking about adolescence. This book truly is a gift to the youth worker community! “This book is a much needed look at how adolescence has been understood throughout history. It’s fascinating but more importantly it’s an invitation to see adolescence in what may be a new way – not as a social construct, or a problem to be solved, or a stage to be endured, but as a precious phase of life designed uniquely by God to reflect his image. For both young people and the adults who influence them, that’s great news. My research focuses on the history of adolescence – how it was experienced, described, depicted, and defined throughout the centuries. While it may be accurate to say that the psychological and sociological study of adolescence in the 20th- and 21st-century collegiate academy is a mere 100 years old (the math makes that hard to debate), it is not accurate to say (as so many have) that adolescence itself is a mere 100 years old, if by “adolescence” we mean an in-between stage of life, beginning with puberty and ending with full adulthood, during which people are viewed as neither children nor adults, live under certain social and cultural constraints, and are often described in ways that highlight negative behaviors. That last part isn’t so much a technical element of the definition as much as it is a harsh reality. If you are a grad student or researcher looking for a fresh topic that needs more attention and coverage, consider diving into the world of historical adolescence. ***You can find short summaries and blurbs of historical source material by searching for #historyofadolescence in the blog. I’ve got windburn from all those amazing quotes rushing past me. Hats off to you, Crystal! !